Cuckfield clung on for a draw at Fulking as the final wicket eluded Preston Nomads. Nomads skipper, Jeremy Green won the toss and elected to bat first. An early wicket for Phil Semmens, Nathan Poole trapped lbw, buoyed the visitors, but Dan Phillips and Stuart Faith looked solid as they compiled a partnership of 128. Phillips departed for 90, caught and bowled by Ben Candfield leaving the home side well set at 153 for2. Candfield picked up two more wickets including that of Faith for 63 as Nomads faltered to 186 for 5. This brought Kashif Ibrahim to the crease who blasted 45 from 37 balls to help Nomads to 254 for 6 after 58 overs. Candfield took 3/68 for Cuckfield. Brad Gayler (42) and Greg Wisdom (26) provided the early resistance as Navin Patel bowled 18 overs on the bounce. He was rewarded with the wickets of the Cuckfield top 4. Billy Meboroh-Collinson (24) and George Galbraith-Gibbons (18) put on 40, but both were removed by Adam O’Brien to leave Cuckfield 142 for 7. Cuckfield lost two more wickets as they batted out the draw, ending the game 168 for 9. Patel took 4/81 and Adam O’Brien took 4/27. Cuckfield 2nd XI v Crowhurst Park 1st XI: An unbeaten knock of 136 from Cuckfield skipper, Chris Taylor saw the Home side to a 5 wicket win against Crowhurst Park. Having been put in, Crowhurst lost two early wickets, both to Matt Denyer. Fox Parker and Ed Smissen put on 70 before Smissen was bowed by Sam Candfield. Jack Best then picked up a wicket and Denyer picked up his third, dismissing Parker for 70. At 149 for 6, Junayd Ahmed (31) and Paul Brookes (41) came together and took the score to 211 in a 62 run partnership before Candfield rattled Ahmed’s timbers. Crowhurst finished up with a creditable 230 for 9 from their 53 overs. Denyer took 3/48 and Candfield 3/41. The Cuckfield reply faltered as Matt Wynn was dismissed by Clive Tong on the fist ball of the innings. Taylor joined Will Rossiter and the took the Score to 60 before Rossiter (31) was bowled by Josh Jones. Taylor settled in as innings anchor, sharing partnerships of 45 with Tom Bonanate, 60 with Tom Wright and 45 with Jack Best. 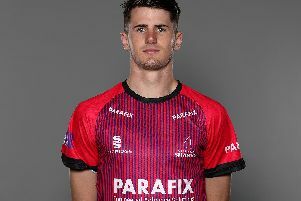 Taylor’s majestic innings of 136 not out (coming from 145 balls, including 18 fours and 3) saw his team home in the final over to win by 5 wickets. Cuckfield 3rd XI v Brighton & Hove 3rd XI: Cuckfield drew with Brighton at the Nevill, 7 wickets down and 56 runs short of the home side’s total. Brighton won the toss and batted first, the opening pair of Marks and Whippey were removed by the Cuckfield opening partnership of Power and Watson. Dominic Hemblade, however, was not so easily moved as he hit 92 before being bowled by the spin of Matt Slinger taking the score to 180 for 5. He brought Tyler Hounsome to the crease who hit an unbeaten 51 to help Brighton to 280 for 7 from their 47 overs. Power took 2/44 and Luke Forster took 2/59 for Cuckfield. In reply Cuckfield quickly found themselves 48 for 3 with both openers back in the hutch. This brought Piers Harrison (44) and Nathan Buckeridge (33) together who put on a 98 run partnership to take the visitors to 146/4. Watson hit a lusty 29, but the game petered out to a draw as Cuckfield ended their 43 overs 224 for 7. There were 2 wickets each for Alfie Harrison, Louie Marshall and Tyler Hounsome.